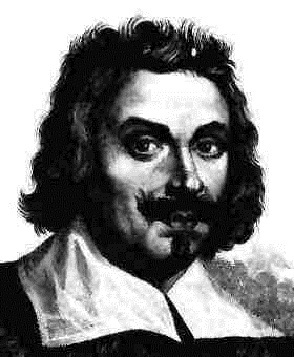 In 1643, Evangelista Torricelli had filled a thin glass tube with mercury. He closed opening of the tube with his finger and reversed the tube vertically. Then the mercury in glass tube did not fall down. Moreover there is space between his finger and the mercury. Space which stopped the heavy mercury from falling is called as ‘vacuum’ now which means which doesn’t contain anything. This vacuum was first discovered by Torricelli. Evangelista Torricelli was much curious from childhood in the fields of Mathematics and Scientific research. Galileo identified his talent in mathematics and interest in physical sciences and made him his assistant. At that time he did the experiment mentioned above, and discovered ‘vacuum’. He also observed that empty vacuum will not be as such always and it will change regularly. He proved that change in the atmospheric pressure is the reason for the changes in vacuum. He invented the device for measuring the pressure. And this device is nothing but barometer. It measures the pressure in the surrounding atmosphere. He also discovered many new things in mathematics. At the age of 39, he died on October 22nd, 1647.